A broken coffee mug was allegedly used as a weapon in a fight between two parents at a school bus stop Tuesday, Nov. 6, 2018. Bayflite had to airlift one of the women to an area hospital, North Port police said. 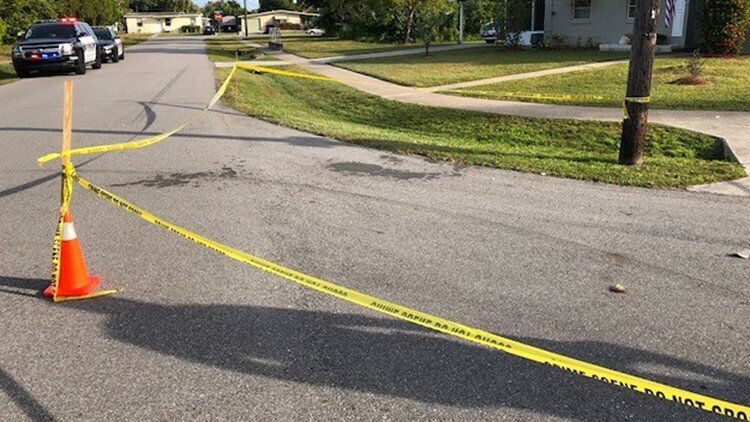 NORTH PORT, Fla. – A broken coffee mug was allegedly used as a weapon in a fight between two parents at a school bus stop Tuesday morning. Bayflite had to airlift one of the women to an area hospital, North Port police said. First responders drove the other woman to the hospital. Police said dozens of children witnessed the fight, which happened around 7:45 a.m. Tuesday on the corner of Aero Avenue and Eager Street. Pieces of the broken mug were used in a slashing manner, police said. Police are interviewing other parents who witnessed the fight. Some of the students are receiving counseling at Glenallen Elementary, where they attend school. The Sarasota County Sheriff’s Office Victims Assistance Unit is available for any families looking for support. The sheriff’s office can be reached at (941)861-4923. If anyone feels their child may need to make a statement after witnessing this incident, you can call (941)429-1586.